The unfaltering and alluring beauty of France never failed to allure the millions of tourists every year, and the tourism and transportation play a greater role in developing the French economy. The impact that on-demand ride-hailing concept made is tremendous and has helped several countries to restructure their public transportation. France is no exception, and the market has a bigger scope and is growing rapidly. Why Do You Buy a Standard Product? Build Your Own Custom Taxi Software! The exponential growth of the ride-hailing industry creates a lot of opportunities for service providers. In order to acquire more business and sustain in the field, several traditional taxi business owners are buying some random, standard, and native taxi booking and dispatching apps, which may not work in the current scenario. As it is a highly competitive landscape, you must swim against the tide. A statistics shows Facebook had 2.27 billion monthly active users, LinkedIn 260 million, and Twitter 326 million. The number keeps growing. According to a study, people across the world spend nearly 20 minutes every day on these social media. 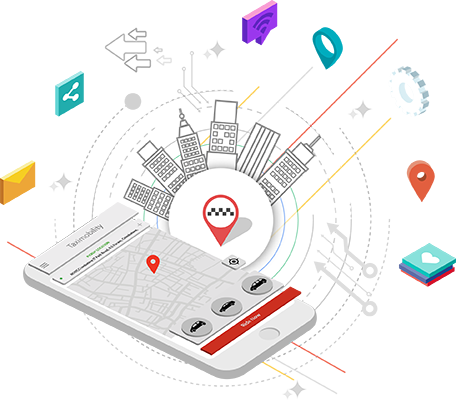 So, it would be the right platform for your taxi business to can find 65% of your potential customers. Marketing through such digital channels would be the smartest and cheapest way to reach your target audience with no investment.